Nonviolent direct action has the power to highlight the moral urgency of an issue in a way that almost nothing else can. From the Civil Rights Movement, to the movement for peace in Vietnam, to the global movement to end Apartheid, most of the great fights for social change from the last 100 years or more have made use of nonviolent direct action and civil disobedience. 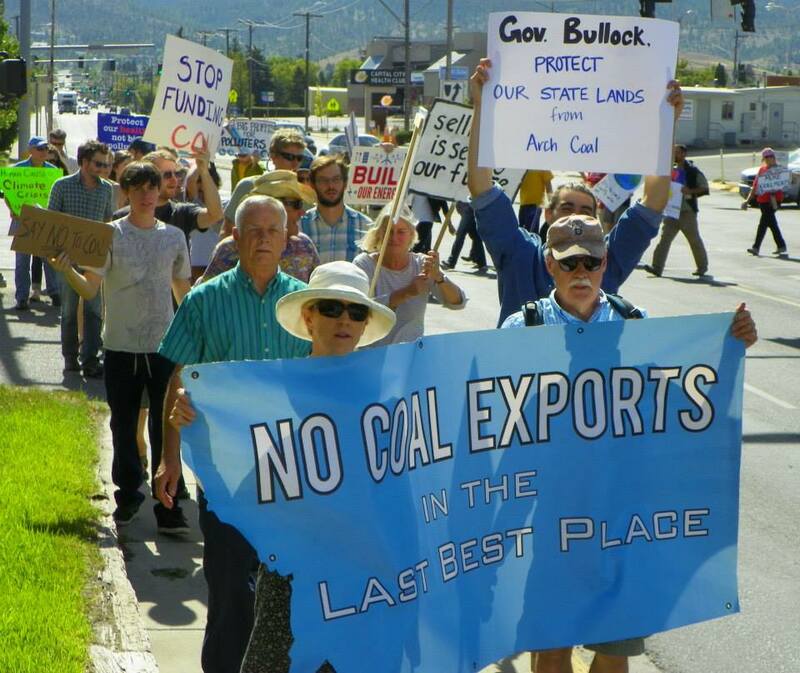 Blue Skies is best known for our nonviolent actions, which are designed to shine a light on the human costs of coal while strategically escalating the movement against climate change in Montana and putting pressure on key decision makers. We seek to honor and learn from the legacy of past social movements, and to follow their example while creating a better world. On February 22nd, we’ll be taking to the streets of Missoula for our next nonviolent action against coal exports in Montana. Though this particular action will not include civil disobedience, we’ll use creativity and the power of a strong community to send a message that rail line towns are ready and willing to fight coal exports. Learn more and sign up here. In 2012 and 2013, Blue Skies spearheaded the two largest peaceful acts of civil disobedience against the industry that have happened so far in Montana. We’ve partnered with other organizations across the state to harness the power of disciplined, nonviolent direct action in the fight against Montana coal exports. Find out more about our past actions.